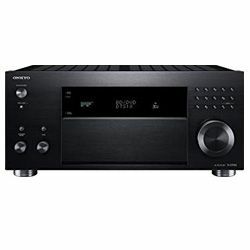 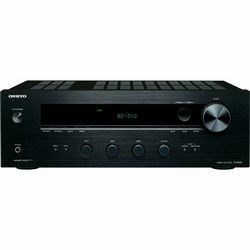 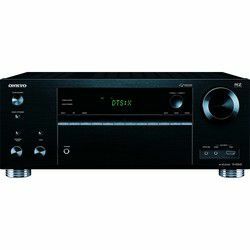 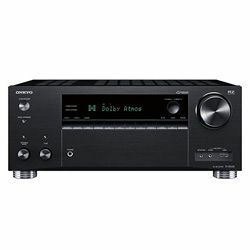 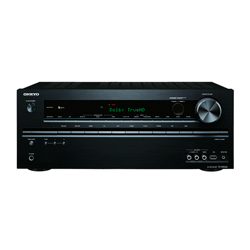 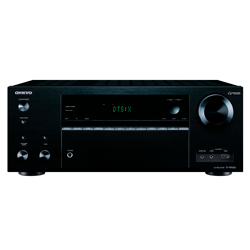 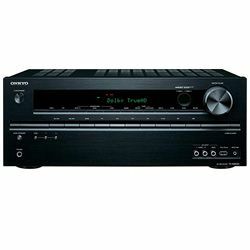 Receivers Hi-End class from Onkyo embodied all the advanced technologies and achievements in the field of creating the most advanced audio-video receivers. 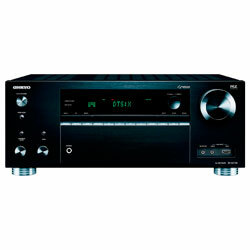 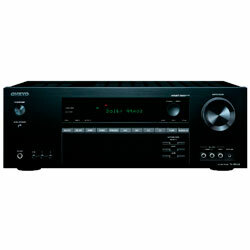 Multichannel receivers from Onkyo have always been popular with home theater fans. 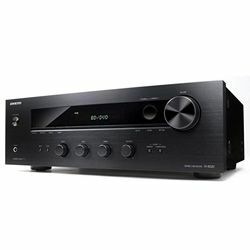 One of the reasons for the success was the firm's policy aimed at implementing the most advanced technologies, not only in the top models of technology, but also in the mass segment, including even the younger budget models. 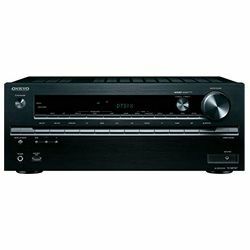 This is especially important when starting new video and audio formats, when the electronic components of the home theater quickly become morally obsolete, ceasing to meet the requirements of the new specifications. 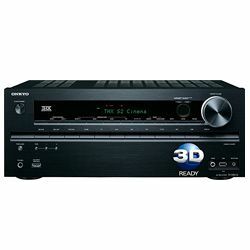 We invite you to have a look at the prepared article and compare Onkyo receivers. 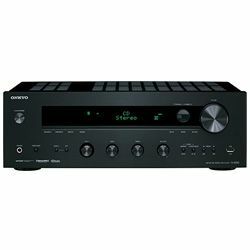 If you dream of a High End class, but are limited to a medium-sized budget, then the Onkyo RZ series receivers created for you. 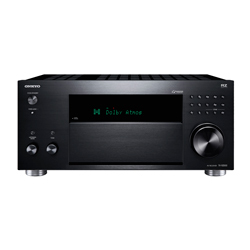 Thoroughly designed and engineered to create an incredibly powerful yet controlled sound in a reference THX-certified home theater, they are equipped with exactly the features you really need - Google Cast, AirPlay, Wi-Fi and Bluetooth. 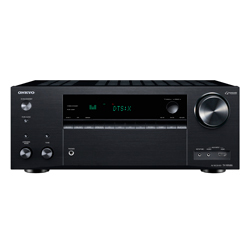 Add optional Onkyo speakers and you will hear the same thing that sounds in your home theater, in another room - using FireConnect technology and wirelessly. To manage the playback, you may use our application, or listen to various sources in any zone - thanks to a powerful output to Zone 2 and linear to Zone 3. 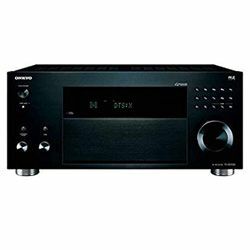 In Zone 2, the HDMI output transmits the video to the second display, making the receiver not only a wall shaker in the home theater , but also a center for the distribution of home entertainment around the house. 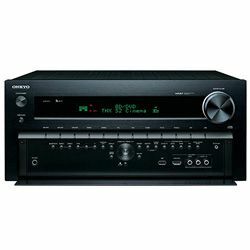 Onkyo receiver comparison impossible without understanding specialties of its series. 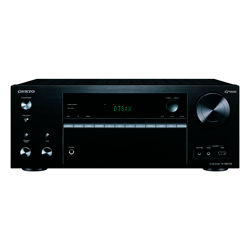 Therefore, Onkyo RZ series give a dynamic, detailed and emotionally exciting sound. 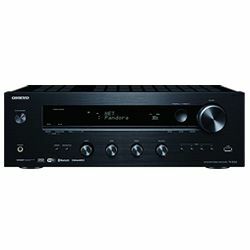 Improved components such as a massive power transformer, a circuit on discrete elements with shallow feedback provide novelties with the output of large instantaneous currents - for lightning fast transitions, stunning resolution of fine details and super-powerful bass that extends down to 5 Hz. 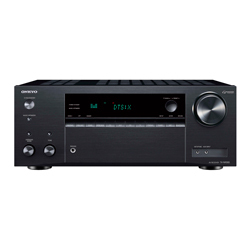 These AV-receivers on THX Select certification will provide high-quality sound in rooms up to 57 m3, as confirmed by 2000 bench tests conducted in THX laboratories in 75 directions, including 14000 data points. 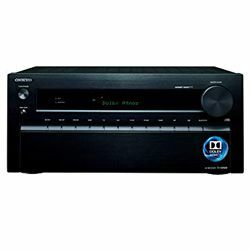 Dynamic audio system prefers a specially manufactured high-performance transformer and an improved block of capacitors that provide best-in-class current flow, which is the key to instantaneous dynamic reply and certain monitoring. 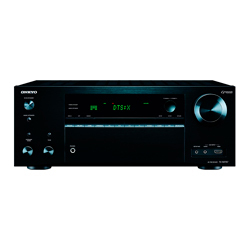 In addition, the system is able to detect and compensate for minor background noise, such as the hum of heating, ventilation and air conditioning systems, to ensure a more accurate calibration. 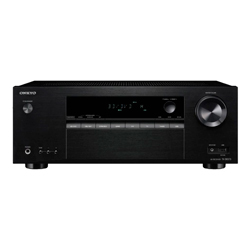 AccuReflex ™ technology provides full synchronization of Dolby Atmos speakers with the rest of the speakers. 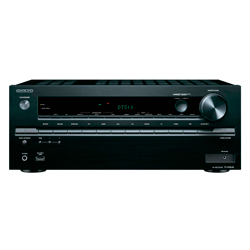 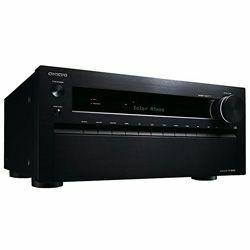 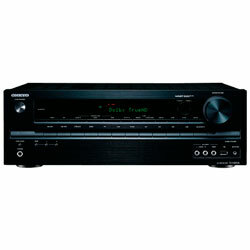 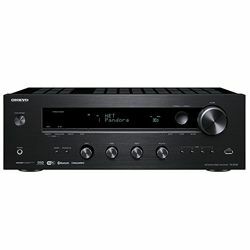 Onkyo's feature has always been and remains the high quality of the sound played on its audio, video and TV equipment. 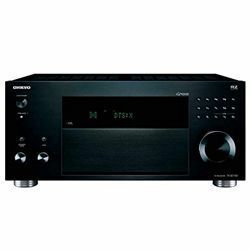 Enveloping and full disclosure of musical sound for listeners is the company's main trump card, starting with the speakers, the diffusers for which Takeshi Godai (founder of Onkyo company) made from waste paper collected on the streets. 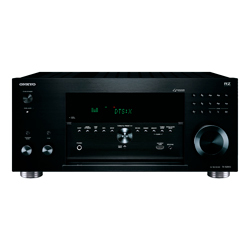 Unlike most competitors, Onkyo remains faithful to the classic enhancement. 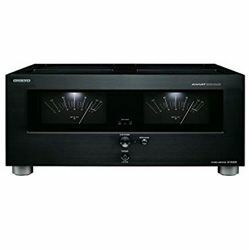 The company uses some amount of proprietary technologies in the construction of amplifying stages, that improve the sound quality and increase the dynamic potential. 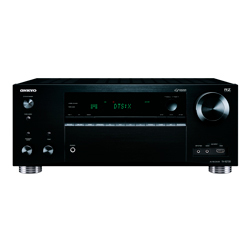 Enhancing audio with no phase shift allows you to create an incredibly clear, perfectly focused and realistic sound image.